The U.S. truce with the European Union will “immediately resolve” the U.S. steel and aluminum tariffs and the E.U. 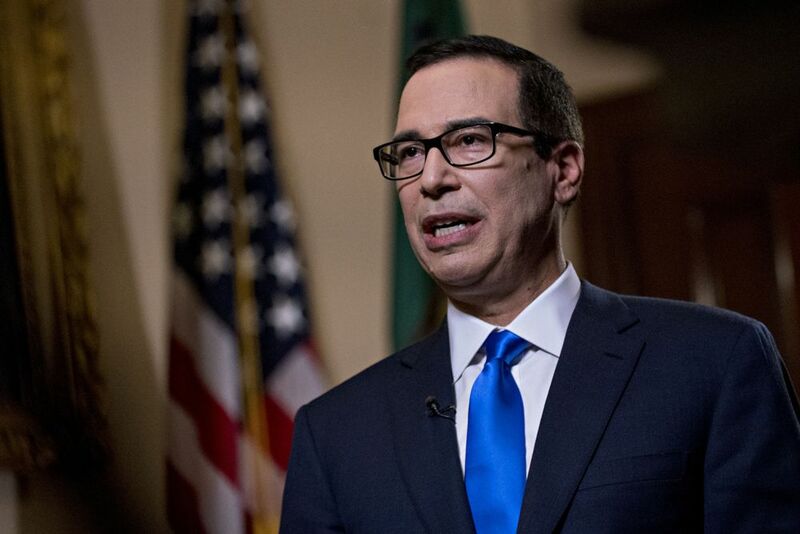 retaliation at the center of the costly trade row, U.S. Treasury Secretary Steven Mnuchin said Thursday. But the details of the ceasefire brokered by U.S. President Donald J. Trump and European Commission chief Jean-Claude Juncker at the White House on Wednesday remain unclear and subject of differing interpretations. The punishing U.S. metals tariffs angered Washington’s major trading partners including the E.U. and sparked retaliation against important American exports, spooking global stock markets. “The first issue that we’ll begin negotiating is … the issue on the steel and aluminum tariffs and retaliatory tariffs,” Mnuchin said on CNBC. Brussels had hit back at the U.S. over the metals tariffs by imposing duties on more than $3 billion of U.S. goods, including blue jeans, bourbon, and motorcycles, as well as orange juice, rice, and corn. Mnuchin also confirmed that the U.S. would not impose threatened auto tariffs — which would hurt dominant German carmakers — while negotiations are ongoing. That would head off the threat of another round of E.U. tariffs on $20 billion in U.S. exports. The United States and the E.U. account for about $1 trillion in transatlantic trade, and on Wednesday, the leaders agreed to “launch a new phase” in the relationship and “work together towards zero tariffs, zero non-tariff barriers, and zero subsidies on non-auto industrial goods,” Trump said. Trump said the E.U. made a commitment to buy more U.S. soybeans and natural gas, but a European official disputed that characterization. Germany unsurprisingly hailed the decision, given that their world dominating auto industry was the first in line to be punished by Trump’s protectionist offensive. But French Finance Minister Bruno Le Maire angrily demanded “clarifications” over the agreed measures. U.S. stocks were mixed in late-morning trading Thursday, with the Dow solidly higher. Agricultural equipment makers Deere & Co. and Agco both advanced. But even with good news on auto tariffs, car companies General Motors, Ford and Fiat Chrysler all fell. All three companies slashed profit forecasts in part due to higher supply costs following U.S. tariffs on steel and aluminum. Ross said his department will continue its investigation into possible tariffs on imports of auto and auto parts and submit a report to Trump sometime next month. However, it “may not be necessary” to impose the tariffs. Meanwhile, in another sign of movement on trade relations, U.S. Trade Representative Robert Lighthizer said the administration hopes to reach an agreement with Mexico and Canada next month on revising the North American Free Trade Agreement. That is “not an unreasonable timeframe if everybody wants to get it done,” he told a Senate committee, shortly before he was due to meet with a Mexican trade delegation. The Republican president has long complained that the WTO has been unfair to the United States, despite the fact the U.S. has won most of the disputes against China and others. Mnuchin said there were no new developments on the dispute with China, which has been the target of most of Trump’s trade policies. “I’ve made perfectly clear that any time China is willing to seriously negotiate — and we’re talking about a commitment to reduce the bilateral trade deficit as well as to deal with technology issues — we’re available any time,” he said. But he also cautioned that the U.S. is watching China’s currency movements for any sign Beijing is manipulating the yuan.